Not sure if solar is right for you? Incentives for solar power in Massachusetts have never been better — it’s hard to find a better investment. Contact an All Energy Solar consultant to see what incentives are available in your area. 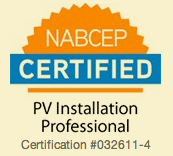 Our team of dedicated professionals is waiting to assist you with every aspect of your solar energy project, from initial site visit and permitting to incentive paperwork and complete installation. All Energy Solar offers a range of financing solutions, allowing you to pick the one that fits your situation. You also don’t have to worry about dealing with any of the hassle of financing because we do all of the legwork for you. Whether you want to buy your system outright or pay nothing upfront and pay a monthly bill that’s less than your current electric bill (or something in between), we will explain your options and help you find the one that meets your needs. 1. You are going to make money off of your solar system. 2. You are helping to make MA, the U.S., and the world a more sustainable place to live. Every home and business in Massachusetts should have solar panels installed. With the federal tax credit, SRECs, and electric savings, the average payback on solar panel installation is about 5-7 years. Given the 30+ year life of the system, this investment is one of the safest ones you can make. In addition to the financial benefits, solar is one piece of the larger puzzle of restoring air quality and fighting climate change. With the installation of solar panels for your home or business, you also get monitoring software that allows you to monitor your current usage and production, and tells us immediately if there are any problems with your system. The software also shows you how much coal you’ve offset and how many trees you’ve saved by using solar instead of fossil fuels. Schedule a free consultation to learn whether you can benefit from solar incentives here in MA!